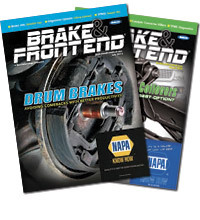 On 2014-’17 Range Rover models equipped with the High-Performance Brake Package with 380 mm front brake rotors, the customer may complain of squeal noises when the brakes are applied under light stops. 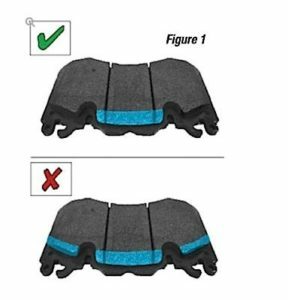 The cause of the noise is front brake pad resonance from the original brake pads. 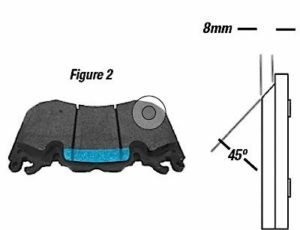 Land Rover has introduced an improved brake pad set (P/N LRO93886) to alleviate the problem. Land Rover recommends using a long-life lubricating grease for specific areas of the brake pad. Also, Land Rover recommends filing the top area of the new brake pad as indicated in Figures 1 and 2. There is only a 2º ± on the 45% chamfer. 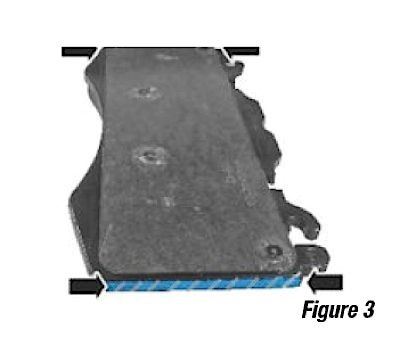 The brake lubricant should be applied to the edges of the brake pad as indicated in Figure 3. Note: The bolts holding the caliper to the upright are torque to yield (TTY) and cannot be reused. The new bolts should be torqued to 133 Nm and turned 60º.